Cynthia has appeared in many videos demonstrating and describing her program. If you are considering purchasing Cynthia Rowland’s facial exercise program, or you would like to learn more about it, you can get a lot more information by watching some of the Cynthia Rowland videos featured below. Cynthia Rowland is well-known by facial exercise practitioners, as she has appeared on many TV and radio chat shows, as well as given interviews for well-read newspapers such as the New York Daily News and the Los Angeles Times. 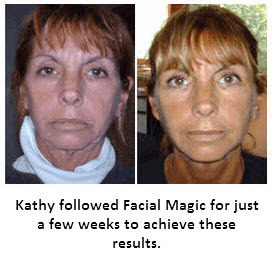 You may have also seen ads for her “Facial Magic” products on TV. A clever and astute business woman, Cynthia Rowland has created a successful company called Renenuve Inc, and as well as selling her facial exercise book and video, she also offers a wide rage of excellent skin care creams and anti-aging lotions. The Cynthia Rowland facial exercise range has recently expanded, as Cynthia has introduced the Luscious Lips Device which you place over your lips, and extend the vaccum pump. This brings blood into the lip area, and instantly puffs the lips out, giving them a more youthful appearance. On her website, Cynthia promotes her products in packs, which works out cheaper than buying each product individually. However, if you wanted to purchase Cynthia Rowland items without creams or other props, they can sometimes be found at a reasonable price on eBay. Warning: If you want to learn Cynthia’s facial exercises you should purchase her DVD. She gives excellent instructions, and some of the exercises require exact finger placement to be effective. When executed correctly, Cynthia’s DVD exercise program is extremely powerful! However, her book “Facial Magic” does not offer instructions – it just talks about facial exercise and the benefits, so don’t buy the book alone if you wish to learn the routines. 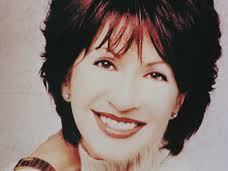 To see just how potent this program is, see the Cynthia Rowland Facial Exercise “before and after” photos on her site. The video below demonstrates an example Cynthia Rowland facial exercise. This exercise will quickly lift drooping eyelids. If you ONLY do this exercise, ignoring all other parts of the face, I guarantee within just a week you will start to receive compliments. By clicking on any of the products below, you will be taken to Cynthia Rowland’s website. Facial Magic Daytime Skin Nutrition- 2 oz. Facial Magic Overnight Sensation – 2 oz. Facial Magic Under Eye Nourisher- 5 oz. Facial Magic Vitamin C Serum – 1 oz.